Select the harnessApp.app tab, and click Preview. 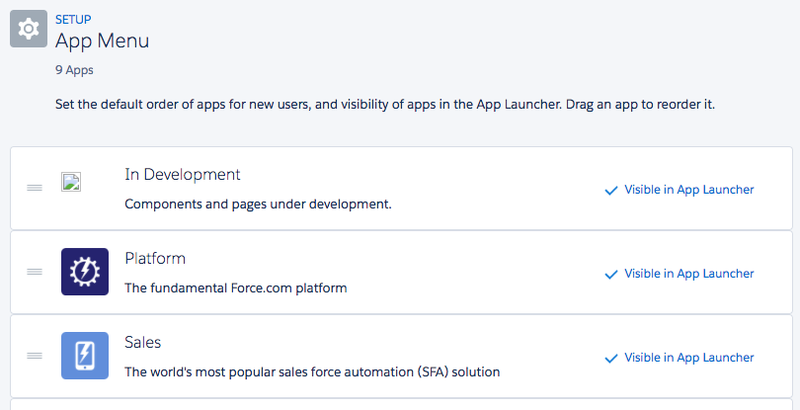 We know we said you should use the Force.com IDE for development, and you should. Here we’re using the Developer Console for one thing only: that Preview button. When you click it, a new (and for now, blank) window opens. 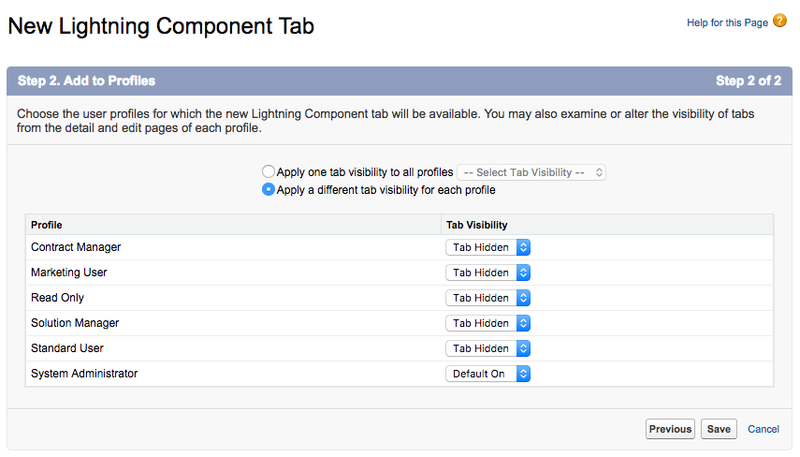 This is the window where you can reload your component to see changes while developing it. Confused? Let’s do something concrete. 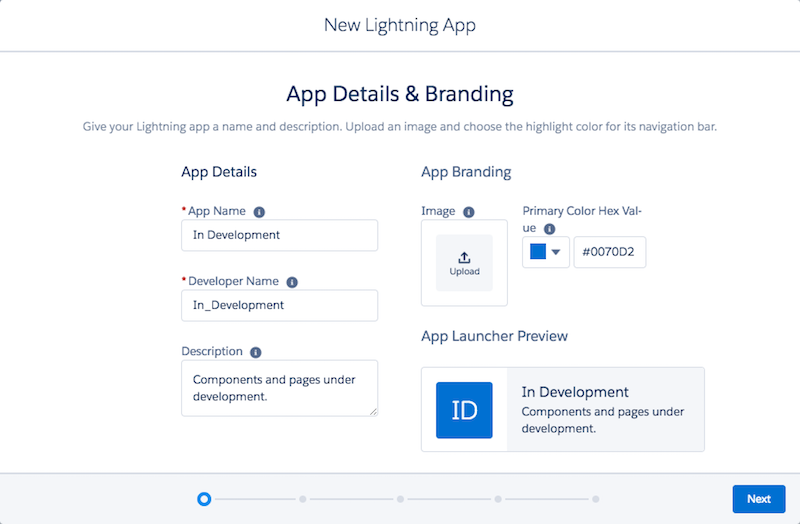 Open the Force.com IDE, and make sure you’re in the Lightning Platform perspective. Click Window | Perspective | Open Perspective | Other…, and choose Force.com. If you haven’t already, connect to your development org. In the Project Explorer, right click and select New | Force.com Project. Then follow the wizard. Create a new component, myFirstComponent. Right click on your project, and select New | Lightning Bundle, and enter myFirstComponent for the name. Click Finish. 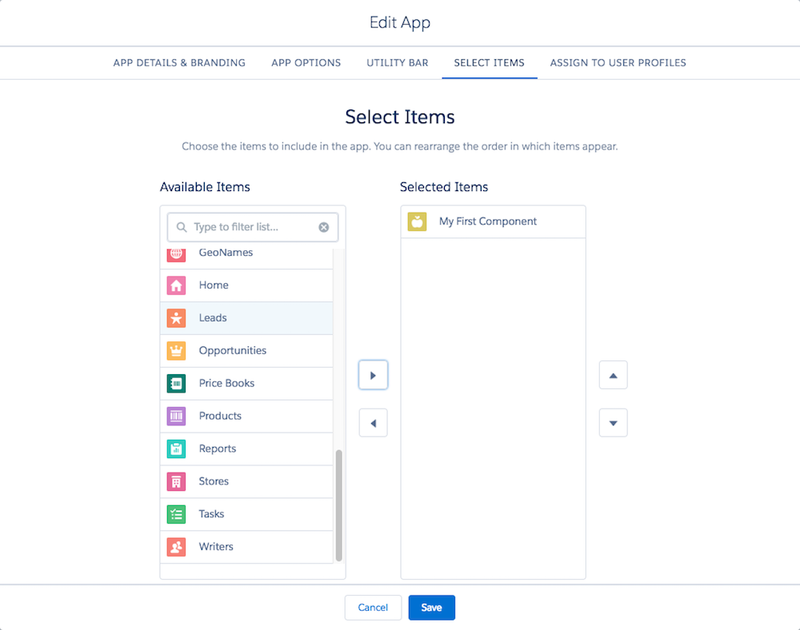 In the Project Explorer, find your new component and open it. Notice that the file extension is “.cmp”. In the Project Explorer, find your harness app and open it. Notice that the file extension is “.app”, instead of “.cmp”. Add the component to the harness app, by entering the following markup. 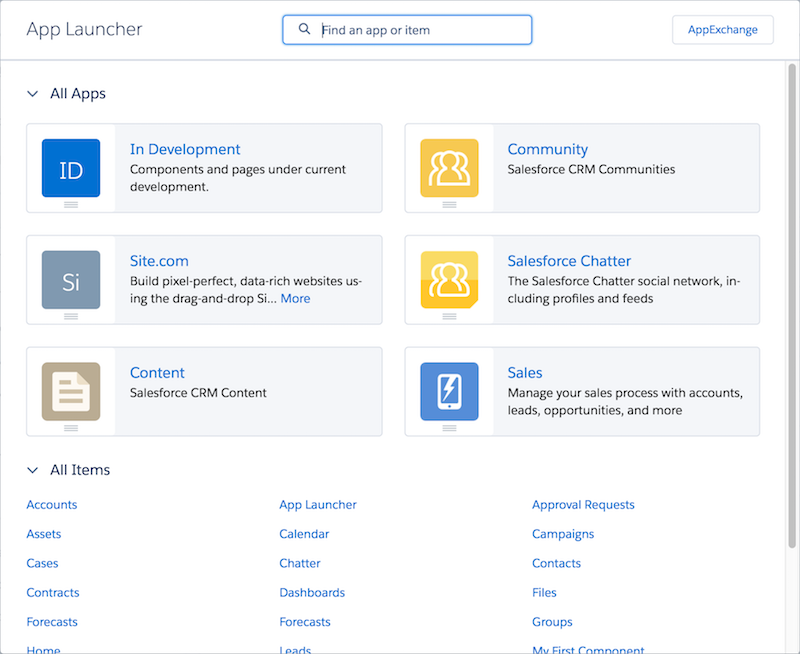 If you’re not working in online mode, deploy your local changes back to Salesforce. 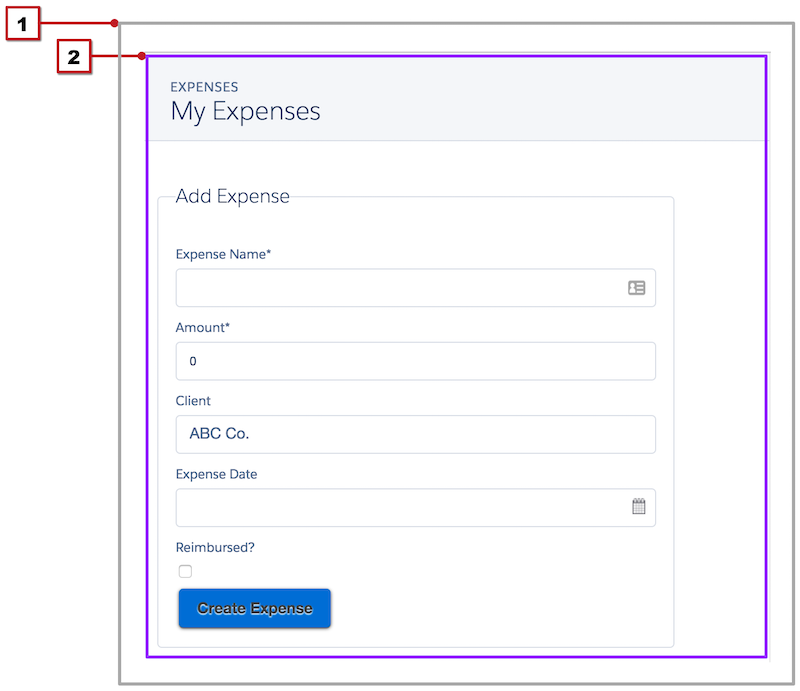 In the Project Explorer, right click on your harnessApp, and select Lightning Platform | Save to Server. Repeat for myFirstComponent. Reload the preview page you opened in the preceding section. Make a change to the component (“I solemnly swear I’m up to no good.”), save to the server, and reload the preview page. Click Next to accept the defaults for the App Options, Utility Bar, and Select Items steps. 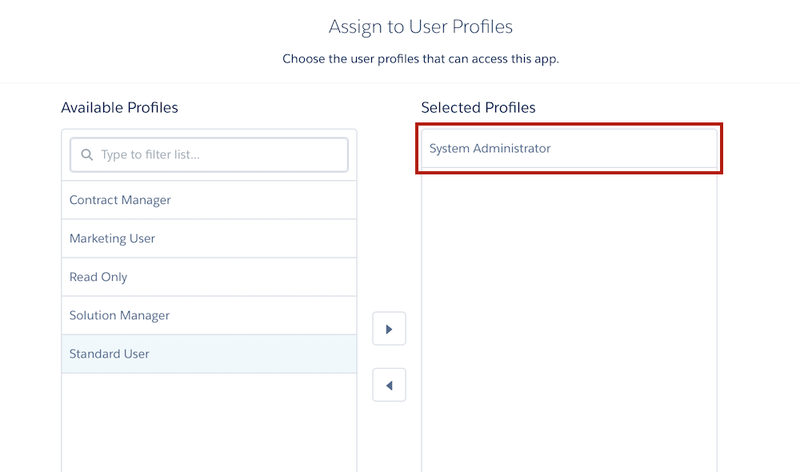 Consider restricting your app to only System Administrators, or a profile you’ve created for developers in your organization. You don’t need your users to see your pages before they’re added to their permanent place in the user interface. Make the tab visible only to your development user profile. Select Edit from the menu at the right of your In Development app. In the Select Items panel, add the new tab to the app.